Join us for the biggest equity crowd funding event in the world and the biggest investor event in the startup nation. 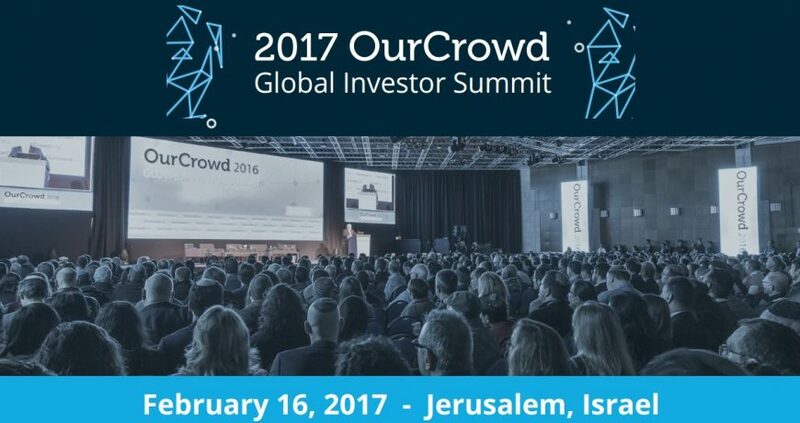 At the 2017 OurCrowd Global Investor Summit, connect, capitalize, and collaborate while experiencing the future of technology, today. With global speakers, expert panels and live demonstrations, you can play an active role in the future of technology investing along with other investors, venture capitalists, portfolio companies, and other stakeholders to access great investment opportunities, add high-growth potential, and profit.